The cat’s out of the bag and by now, it’s no secret that China is one of the leading countries that enjoy tremendous usage of the QR Code as an offline-to-online platform solution. QR Codes are used everywhere in China, from subway walls to museum signs, and lifting up your smartphone to scan a code has begun to replace lengthy and awkward habits such as reading pamphlets and searching for websites on your phone. 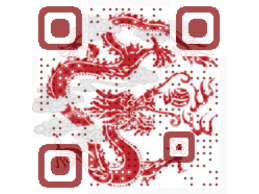 China’s figured out that QR Codes make things run smoother, faster and better, in a simple, no-stress kind of way. But the Chinese aren’t ready to rest on the laurels of being the QR Code’s most avid consumers; Chinese companies are constantly on the lookout for cooler, more colorful ways to get their customers from the offline world of posters and stalls to the digital market which is even more vast than Beijing’s famous Silk Market. Enter in Visualead, also known as Shijuema – our colorful, easy-to-relate-to Visual QR Codes are incredibly popular in China as the image in the Visual QR Code adds that personal touch which catches people’s eyes as they walk by on the street. There’s never been a question of whether black-and-white items are more popular than colorful items, as it is simply a given that people are more drawn to color, which is the next natural step in the evolution of QR Codes. The only question that seems to be relevant – can it be done easily and in a cost-effective way? And the answer is Yes! Not only is the 5-step process easy to follow, it allows businesses and designers so much more freedom in what they’re offering their customers, who appreciate the added visual appeal.